This was my response to a question on Quora by an entrepreneur who was planning to pitch his idea to investors. Investors will invest in your startup if they are convinced that their investment in your venture will multiply over a 3-5 year period. Therefore, to convince someone to invest in your venture, you need to excite them about the business case underlying your concept or idea. Of course, the ideas has to be good, it has to address a large market opportunity, the value proposition has to be strong and the product/concept/service has to be (or has to be thought out well enough) to be well delivered. But while these are necessary conditions, they are not sufficient conditions for someone to invest in your venture. 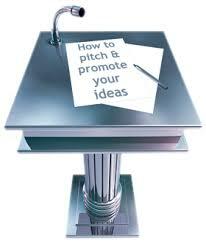 Hence, while presenting, ensure that your pitch focuses on what you intend to do, how you plan to implement it, AND how you will make money from it, what your scale of aspiration is and why you and your team is the one they should bet on. Investors are interested in the business case… not just details of the concept or the product. A concept and product is different than the business case for the same. (Most first-time entrepreneurs make the mistake of elaborating on the concept as the business). E.g. for someone presenting for a e-tailing venture, the investor would be interested in knowing your competencies or plans on supply chain, warehousing, procurement, customer acquisition, etc. Not just about how cool your web platform is. Focus on key aspects rather than fluff around your business case. In most cases you will get a 20-30 minute window to present. You will have 10 – 15 minutes to make your case with 10 – 15 minutes for Q&A. In fact, in most cases, you would have either got their attention or lost them in the first few sentences. Rehearse your opening lines… once you get through this, the rest is the easier part. If you don’t get their attention and interest in the first few sentences, the rest really won’t matter that much. “According to Gartner the market is 8 bn USD globally” type of line has no meaning for investors. At startup stage, investors are interested in knowing what you are going to do in the next few quarters. Of course, they would be keen to know whether the market is large and how large. But in most cases, industry reports on the size of the industry is no indicator of the size of the opportunity you are addressing. You should focus on presenting your plans and what you intend to get to in the next few years. This is a great peice of information. Thank you Mahesh. Glad you find the articles useful. Previous Previous post: What is the role and responsibility of a mentor towards a first-time entrepreneur? Next Next post: Does a winning business model guarantee success?